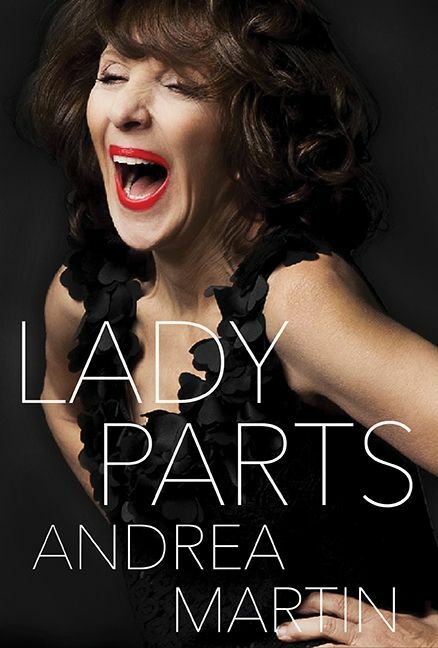 Whether lighting up the small screen, stealing scenes on the big screen or starring on the stage, Andrea Martin has long entertained Canadians with her hilarious characterizations and heartwarming performances. An important player in SCTV, the funniest show ever to come out of Canada, Martin helped change the face of television by introducing us to a host of characters, including the indomitable Edith Prickley. Martin has worked stages, sets and even trapezes across North America, playing to houses packed with adoring fans, all of whom instantly recognize the star who has entertained us for nearly forty years. In Lady Parts, for the first time, Martin opens up in a series of eclectic, human, always entertaining and often moving essays. She shares her fondest remembrances of a life in show business and reflects on motherhood, relationships, no relationships, family, chimps in tutus, squirrels, and why she always flies to Atlanta to get her hair cut. Lady Parts will make you smile and may make you cry—a powerful collection of stories by a woman with a truly storied life. Andrea Martin was cast in the 1970 American touring company production of You're a Good Man, Charlie Brown, in which she played Lucy. During the tour, she visited Toronto, fell in love with the city and moved there. Soon after, she was cast in the legendary Toronto production of Godspell, with fellow performers Victor Garber, Martin Short, Eugene Levy, Dave Thomas, Gilda Radner, Jayne Eastwood and Paul Shaffer, the musical director. Martin has appeared in numerous theater and television productions around the world, including Toronto's Second City stage show, which led to the critically acclaimed SCTV. She has also been recognized with many awards, especially prized among them her two Emmys, two Tonys and from Canada, her two Geminis and four ACTRAs. After winning the 2013 Tony for creating the role of Berthe in the revival of Pippin, she returned to the stage in April of this year in Act One, for which she won the Outer Critics Circle award. This fall finds her once again on Broadway for 24 special performances of Pippin before packing her trapeze and taking the show to San Francisco and Los Angeles. Her next film, Night at the Museum 3, opens December 19. Blood Sisters: Part 3 of 3: Can a pledge made for life endure beyond death? Blood Sisters: Part 1 of 3: Can a pledge made for life endure beyond death?